Growing up in the Manchester United soccer academy, Terry Cooke saw first hand what it meant to truly develop players into professionals, learning every facet of the game at its highest level. After spending several years in the youth system of ManU with some of the club’s most notable homegrown players in the last few decades, Cooke saw his debut with Manchester United’s top club at the age of 19. Cooke was transformed from a child with a dream to a man who was ready to take on some the of world’s best soccer players. 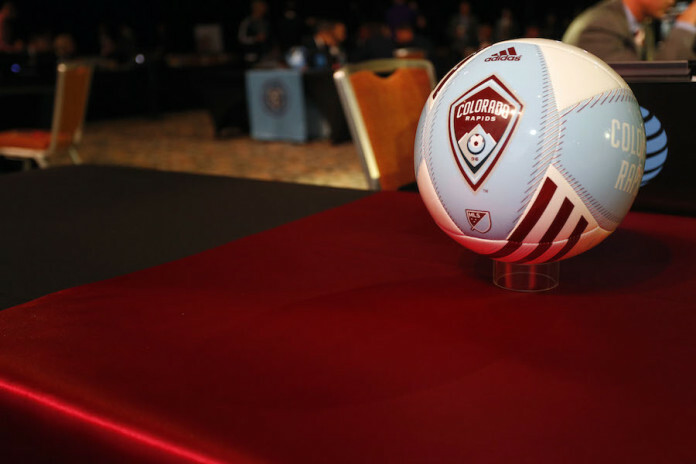 After a several ups and downs in Terry “Cookie” Cooke’s EPL career, he found himself landing a spot on the Colorado Rapids. Many Rapids supporters remember Cookie for his four years spent with the Rapids where he made 106 appearances from 2005-09. After his departure from the Rapids, Cooke spent two more seasons playing in Australia and Azerbaijan, but then returned to Colorado to begin his post-playing life. During his career, Cookie often discussed his hopes to remain deep within the soccer subculture and dive into coaching once his career as a player was all said and done. Within the last year, Cooke has been given the opportunity to make an impact as the Advanced Director of Coaching with one of Colorado’s most storied soccer organizations, the Denver Kickers. Based out of Golden Colorado, the Denver Kickers is both a youth and adult soccer program that was established in 1956 by German immigrants brought to Colorado. They began a social club surrounding one of Germany’s and all of Europe’s favorite past times. As years passed, the Denver Kickers became one of the best soccer clubs, not only in Colorado, but in the entire country, having won several national championships in the 70s, 80s and 90’s. As soccer grew more popular amongst Americans in the late 90s and more youth organizations began to form, we saw an industry form as well. Soccer clubs became businesses that were more concerned with the number of participants rather than focusing on any form of a developmental model. As Cookie sees it today, not much has changed within the youth soccer landscape, but that is precisely where he hopes to make his impact. One of Cooke’s favorite aspects of growing up learning in the English soccer system was the way they were treated like professional adults throughout, whether it be by training methods, merchandise or simply the hands-on presence of some professionals and former professionals. Establishing a professional environment has been one of Cooke’s main angles in rebuilding the Kickers. He focuses on skill, building the way professionals do and directing players with more than simply laying down cones for them to run around, the way he was brought up. The Kickers also established a relationship with Aspire Energy Drinks, providing free beverages for the players and furthering the idea of a professional environment. Through several clinics hosted by Cooke and with his presence at all levels of youth practices and games, Cooke uses his experiences and expertise to personally help every team in the Denver Kickers organization. He also has acquired access to the online coaching manual/magazine that is used by coaches in the English Premier League, breaking down specific tactical situations and training. Under Cooke’s guidance, the Denver Kickers have also emphasized the use of film study of their own games and practices. Keeping with the idea of a more professional treatment of their players and to establish brand recognition, Terry Cooke has also standardized the uniforms and warm-ups for the teams at all levels. Appropriately, Cooke found a German athletic clothing company, Hummel, to sponsor the club’s new apparel. The club’s new look combined with the use of their old logo and colors is a physical representation of the Terry Cooke vision of returning a once great organization to prominence. 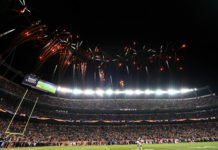 Along with Terry Cooke’s vision of development and treatment, the Denver Kickers have a more than adequate complex for training and playing games and are one of the only clubs locally to have their own property. A large clubhouse — used for training, video sessions and banquets — sits behind the bleachers that overlook the several playing fields. Complete with an American flag on the left, the official Kickers colors in the middle and a German flag on the right, the bleachers are a visual reminder of the club’s unique history and importance to the culture of Colorado and the community of Golden. 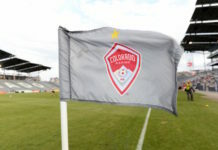 Using his own personal experience of development through one of the world’s most prestigious soccer clubs, Cooke looks to take the Kickers to the next level in the Colorado youth soccer scene by focusing on coaching and development. His goal is to make the overall program better through teaching and working with players rather than simply acquiring the most participants and only focusing on players who are already athletically ahead of other kids. “When there is focus on bigger more athletic kids, it becomes more of a win first mentality,” Cooke said. “Youth soccer should never be about win, win, win. Youth soccer is all about development and getting these kids ready for the next level. Terry Cooke’s repeated use of the phrase, “Quality not quantity,” displays his commitment to making sure the players are going to be developed properly. He wants to ensure that the kids coming out of his organization are learning how to think about soccer in a higher capacity and then are able to execute what they have been taught, in hopes of moving them on to play at higher levels. Cooke’s long, well-travelled career has only deepened his passion to coach and develop kids. The state of Colorado is fortunate that his time spent here made him want to return and begin his coaching career with Denver youths. The Denver Kickers have found themselves an extraordinary soccer mind with first-hand experience and the passion to build something great. Playing in Colorado was a big part of Cooke’s career as a player. His mission to give back to the young soccer players of Denver is something the Rapids management, players and supporters should all be proud of. One of their former leaders has transformed to being a leader within the community. Truly a priceless acquisition for the state as a whole.